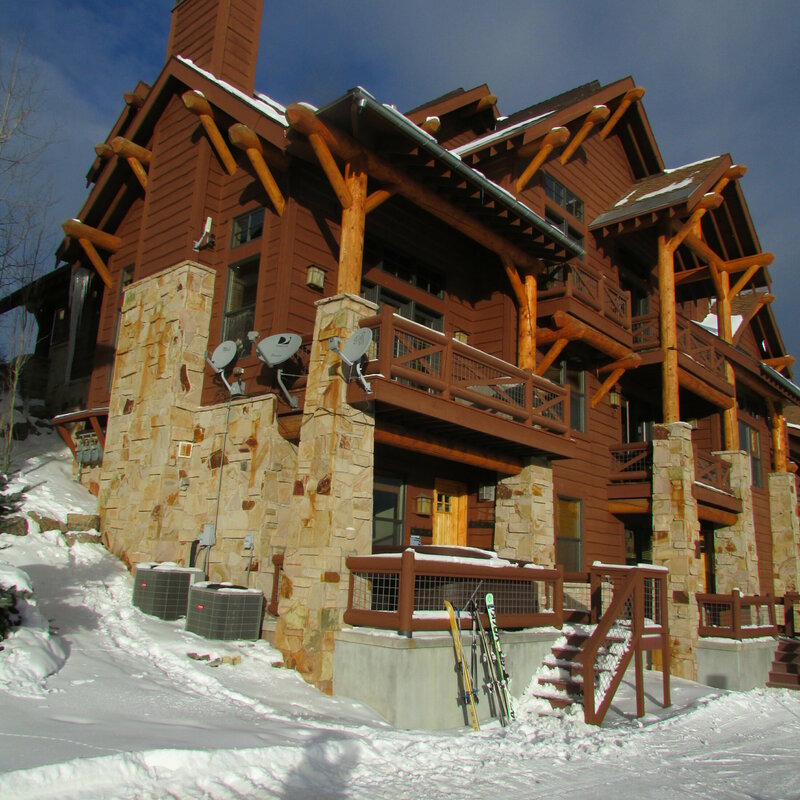 Home of the 5 step rule: step off the deck, and click into your skis! 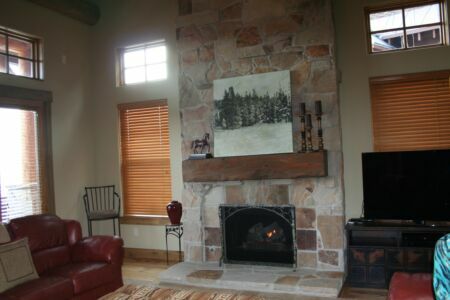 Beautifully furnished, fully equipped, ski in and ski out 5 bedrooms, 4 and half bath home in Deer Crest subdivision of Deer Valley. Duel master bedrooms, multiple balconies. Dramatic great room with massive floor-to- ceiling stone fireplace vaulted ceilings, and lots of windows. 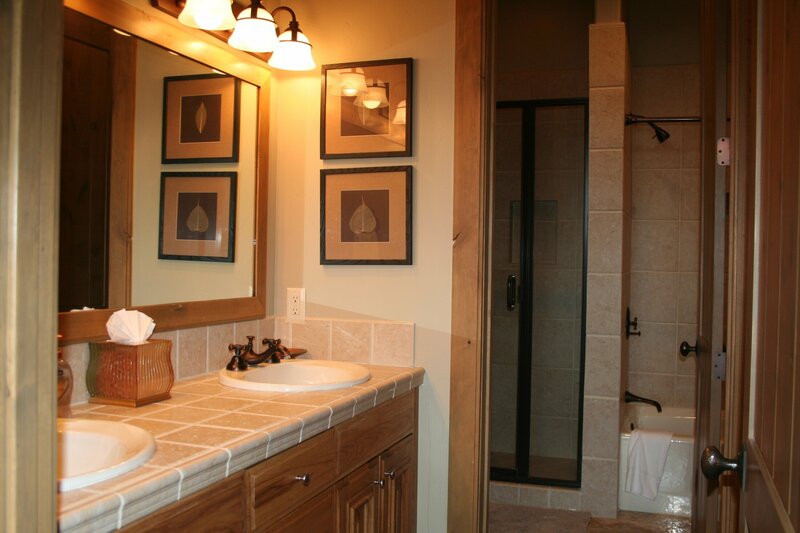 Solid wood doors and hand-peeled log accents. 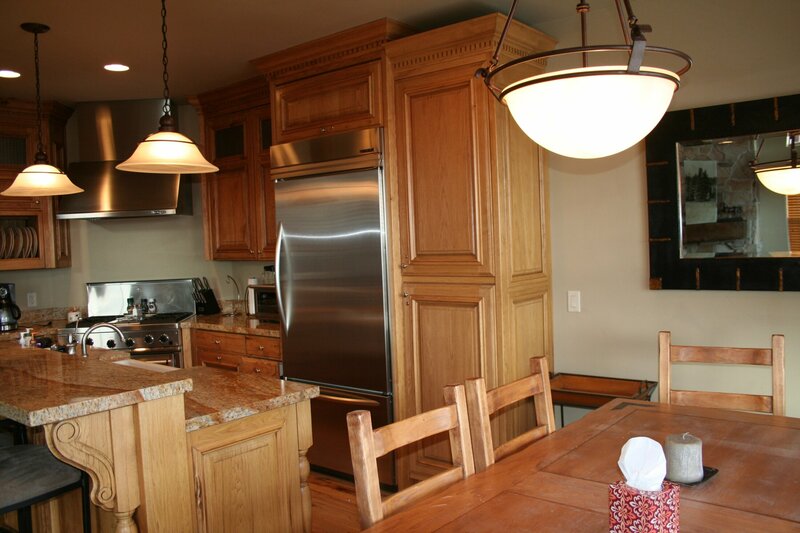 Gourmet kitchen with granite surround and countertops. Direct ski-in access from private trail and ski-out to high-speed Jordanelle Gondola. Hot tub. Two car garage with plenty of storage space. Excellent east facing solar exposure. Spectacular views of lake and mountain. 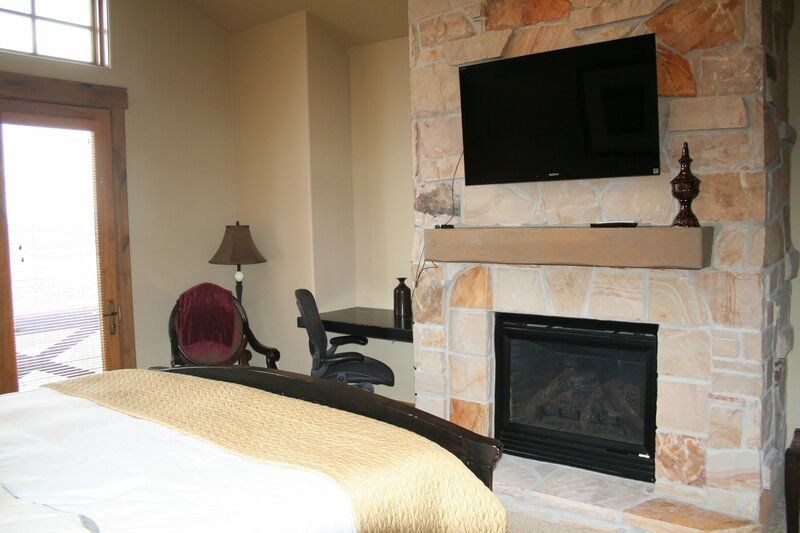 Three gas fireplaces. Private deck off living area, second deck at lower level with hot tub. 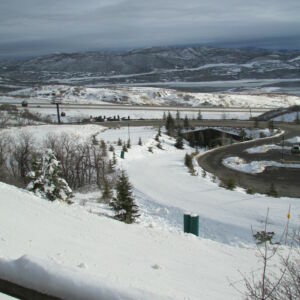 Deer Valley is a ski only resort. 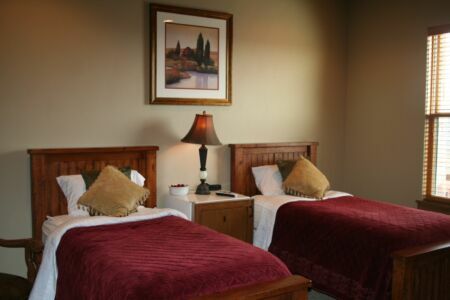 Guests on alpine, telemark or mono ski equipment with feet placed side by side and facing forward are allowed. 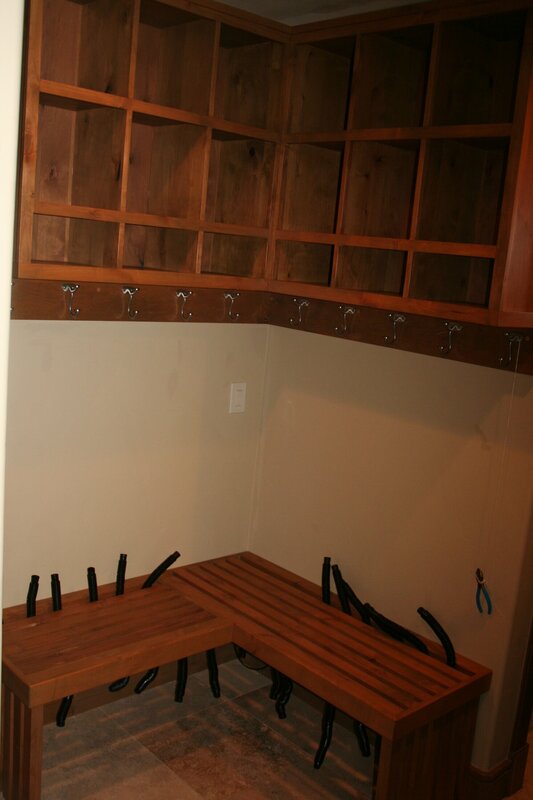 Snowboards and carving boards are restricted from use. 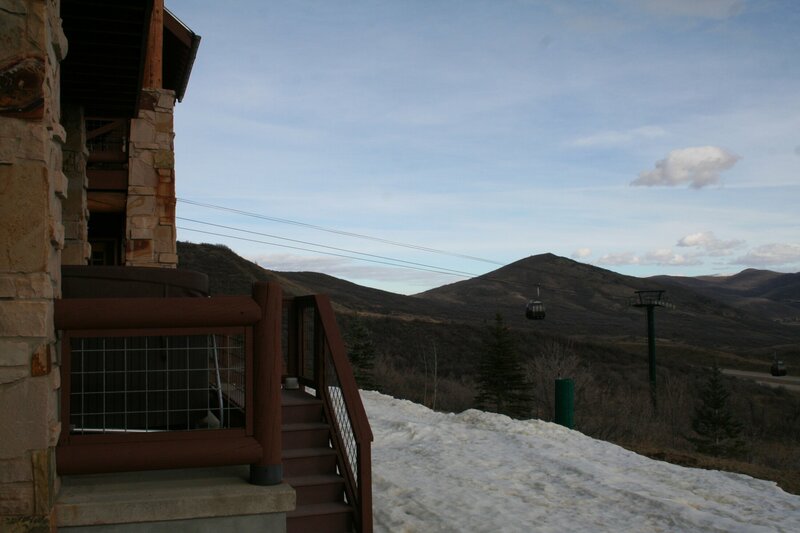 Reasonable accommodations for adaptive ski devices will be made; however, the equipment must be in accordance with the resort’s ski only policy. Park City’s two other resorts offer snowboarding, and White Pine Touring operates a Nordic ski center in Park City. What’s the typical annual snowfall? During the ski season, the Deer Valley Children’s Center is open daily from 8:30 a.m. to 4:30 p.m., and provides care for non-skiing children between the ages of 2 months to 12 years. Reservations are required. 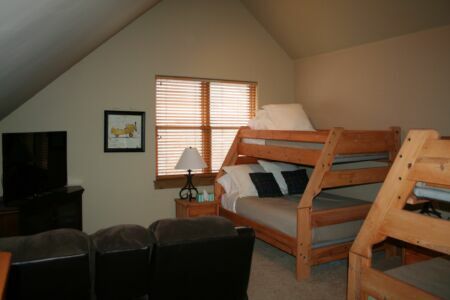 What kind/size beds do you have? We have 1 king size bed, 4 queen size beds, 2 single bunk beds and 1 full size bed. The home has a 2-car garage. There is no parking permitted on any of the residential roads in Deer Valley. Parking is permitted only within a private lot, approved off street parking area or on the road shoulder on one side of the road unless otherwise prohibited herein. No parking is allowed on curves. Parking is not allowed on the shoulders of both sides of the road at the same time. No vehicle may be parked in such a way that it interferes with snow removal. Any vehicle interfering with snow removal will be towed at the owner’s expense. There are some restaurants across the freeway next to the reservoir, about 4 minute drive. 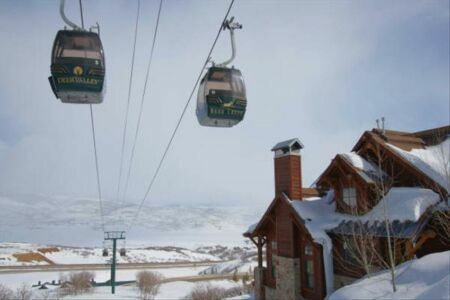 Many restaurants in Park City and Heber City, about 15 minute drive. About 5 minute drive to the village. How do guests get in the house? Do we have access to buy a discounted lift ticket? Purchase tickets online or lift tickets can be purchased at the Jordanelle Express Gondola right below the house. Daily lift tickets can be purchased from 8:30 a.m. to 2:00 p.m. Tickets can be purchased at the Snow Park Lodge Ticket Office Base Facility from 8:30 a.m. to 5:00 p.m. See www.deervalley.com. March 2019 very nice home and great location! Aizar K. 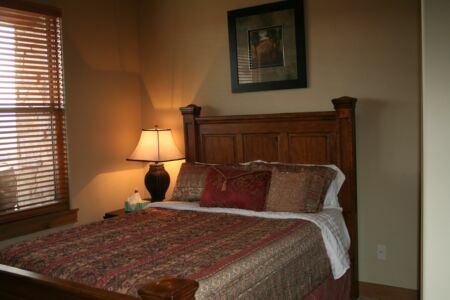 said…..The home was perfect for us. 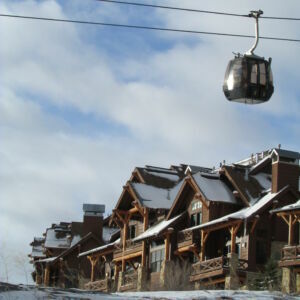 We had all of the accommodations we needed and the ski in ski out access to the Jordanelle Express Gondola was awesome. I would definitely stay again! Thank you for making your home so welcoming. I enjoyed every moment in your home. Everything we needed was here for us to use. We had such an amazing time. Staying in your beautiful home this past week. We made so many amazing memories together as a family. Thank you so much for letting us use your home for this amazing vacation. We had a blast! The house is AMAZING We had a wonderful time skiing and playing games. 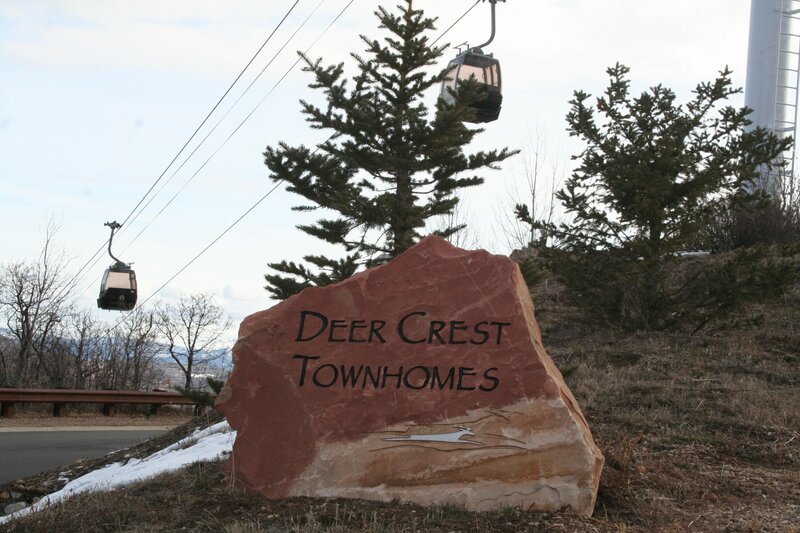 We were very impressed with Deer Valley and Park City. Hope to visit again real soon! Very comfortable home. Once we figured out the trails to get back to the home... the ski in ski out access was amazing. Beautiful views and fresh powder made our trip one to remember. Thank you! Beautiful home enjoyed my time here. Thank you for making it available. 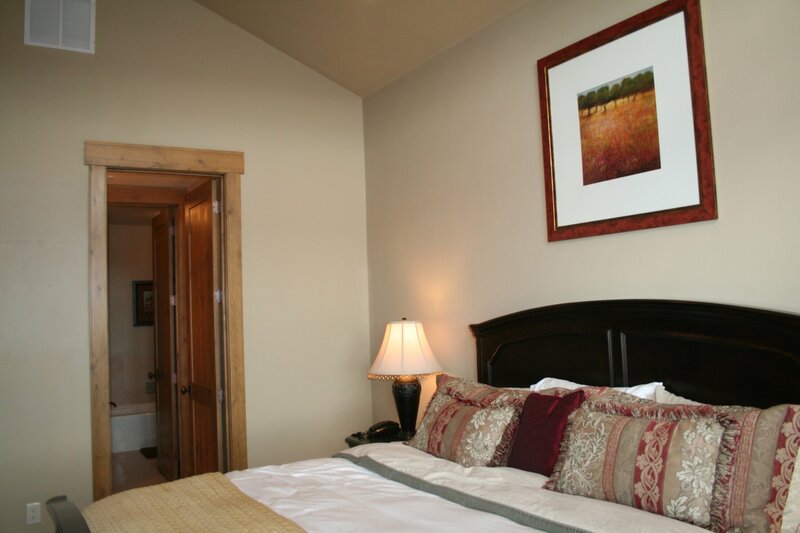 We have stayed in Russel Mace home in Big Sky two times. This was our first stay in their home in Utah and we were not disappointed. Thank you for this beautiful home. We hope to stay with you in Whistler too. 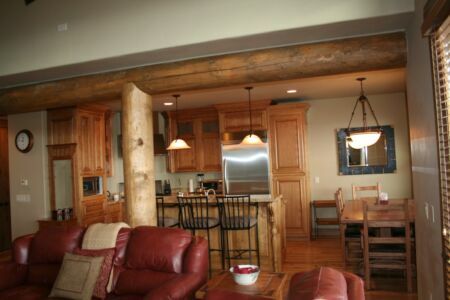 Our group stayed in a Russel Mace home in Montana twice before. We knew from that experience that this would be a quality home with all the amenities. We were not disappointed. From the moment we arrived we felt at home. Their attention to detail is always" spot on". The only negative was that it was a little more difficult to ski into the home than we anticipated. We watched the video and read the directions and still got lost the first day. It didn't help that there was not a lot of snow this year (not their fault)! We are a group that goes on a ski trip every winter and will always look for a Russel Mace home where ever we go! This house had every single thing a person would want and need in a vacation! 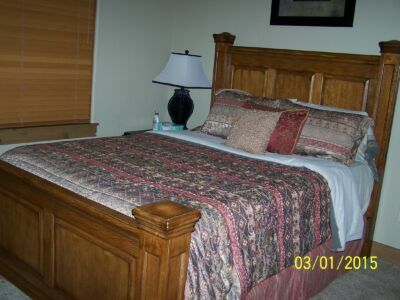 The house was very spacious (even more so than the pictures show) and cozy! The views are amazing from every window in the house. The kitchen has every single thing you would need to prepare great meals. 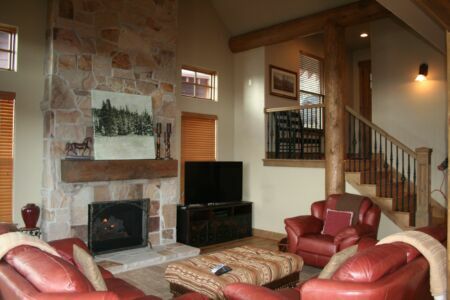 The den is set up so many people can relax by the fire and a large collection of movies is available to watch. 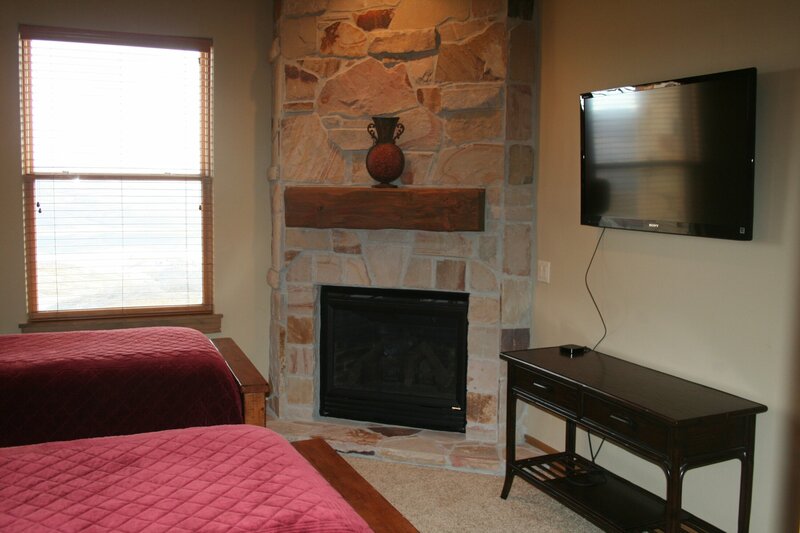 The Apple TV option is in every room also! I couldn't ask for a better set up. 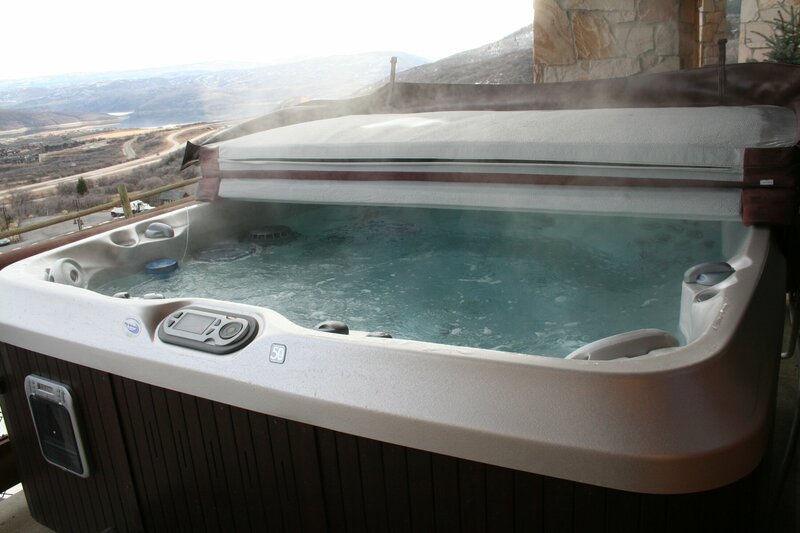 Those who wanted to ski could ski right out of the bottom floor of the home and come back to a nice relaxing hot tub. I would recommend this vacation home to anyone looking!